I'm making July Josephine month in Black Paris. Why? Because there's a couple more exciting ways for you to celebrate La Venus Noire. In her debut, she got a reputation for 'taking it off'. Test your own sense of adventure by stripping off the summer finery, slipping into a swimsuit, and taking a dip in the Josephine Baker pool. Encased in glass, this floating barge of serenity is moored to the Seine River at Quai Francois Mauriac at the foot of new Francois Mitterand Library (Bibliotheque Francois Mitterrand) in the 13th district. The pool opened in July 2006 but closed unexpectedly because of a fire in the gym section. It re-opens July 21st. It's not exactly for Olympic swimmers - but you can get in a 25 meter (82 ft) lap. Or take it easy and just soak up the rays streaming through the sleek, retractable sun-roof, meditate on the Paris skyline, or watch the kids paddling around the hedgehog fountain in their own pool. And if paintings from bygone days ever had you wishing for a swim in the Seine, this is the closest you'll get - the pool is filled with recycled water from the river. Though the location may seem off the well-traced tourist path, it's a great introduction to this 13th district, once an obstacle course of industrial buildings now home to branché artists' squats, very hip clubs (some on the boats nearby) and the new library. 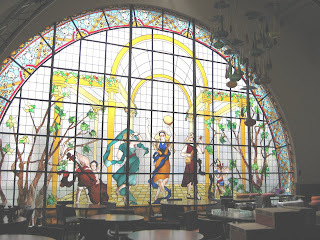 Until Aug 20, the piscine Joséphine Baker offers a cool dip off if you're lounging on the makeshift but hugely fun Paris Beach Paris Plage set up nearby - after the workout, check out the free newspapers, books on loan, WiFi access, and art classes. If you go: Metro: Bibliotheque F.Mitterand, line 14. Tel 01 56 61 96 50 Entrance:5E. 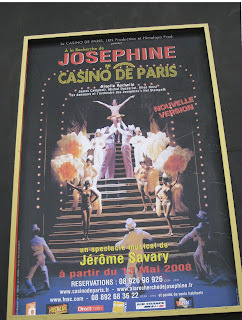 If you never got to see Josephine in one of her dazzling shows, you've got until August 17 to check out the spectacular 'In Search of Josephine', now playing at the Casino de Paris in the 9th district, Lower Montmartre area. The revamped Jerome Savary production has pulled out the mesmerizing costumes, her dances, and the New Orleans swing that livened up the 1920s and 30s. Josephine actually performed at the Casino in 1930 (it's not a gambling casino, in fact, but a luxurious concert hall), shaking up the entertainment world and enraging her rival Mistinguett. Josephine's 'The Show That Shakes' did just that. Just as important: this place is home to African-American jazz in Paris. It was here in 1917 that drummer Louis Mitchell brought his hand-picked band, The Jazz Kings, to delight throngs of fans of this new music. 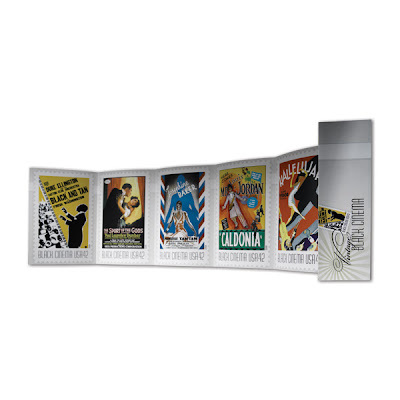 For five years upstairs at the Perroquet Room, the fans and the venue showed their love with their wallet. Mitchell raked in the dough - making ten times more than a French cabinet minister. The Jazz Kings accompanied the biggest names in Music Hall of the times, including Josephine and her 'Revue Qui Remue - Show That Shakes'. One our tour participants (Shirellia Moore), kindly took these photos as we visited the Casino during our Walking The Spirit Tours Tour #2 The Entertainers. This is upstairs at the Perroquet Room today, same as in the 1930s. Stateside, the US Post Office has just issued a series of stamps commemorating the greats of Black Cinema, including our Josephine. Buy them at your nearest outlet or through the website. France did the same for Josephine in 1994, which I am proud to own, and for Sidney Bechet in 2002.